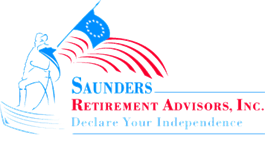 Pre-Retirement Checklist | Saunders Retirement Advisors, Inc. This pre-retirement checklist from Saunders Retirement Advisors can help you get started on the path to retirement today. Go to www.ssa.gov/myaccount to create your online account and view your latest Social Security statement. Then use https://www.ssa.gov/benefits/retirement/estimator.html to see what your monthly payment would be at various ages. Before you start taking payments, let us run your options and show you how to maximize the investment you've made in Social Security over the years. Contact us to take advantage of this free service. Add up all of the income sources you expect to have in retirement. Make a budget showing the expenses you plan to have in retirement and see how close you are to your retirement goals. Don't forget that you won't have to contribute to retirement plans or pay Medicare taxes or Social Security on your retirement income. You may be able to gain control of these assets by transferring them to an IRA* now without paying taxes. We can help with that. Did you invest in 401(k) at previous employers? Contact your HR Department if you have a company retirement plan (401k, 457,403b, etc.) to find out if you qualify for an "ln-Service Withdrawal." lf you're at least 59½ and work for a public corporation, you may be pleasantly surprised. You may be able to transfer all or most of your funds to an lRA of your choosing now without paying taxes. You can continue making new contributions and receiving company matches as long as you continue to work there. Be sure to check out FINRA's 10 tips to Making a Sound Decision about IRA Rollovers. Then, if you're ready to roll, we can ensure that your transfer goes smoothly. Make a list of any annuities (variable, fixed or index) and any life insurance policies that you own. You may be able to be transfer these tax-free to a more appropriate retirement investment using the 1035 transfer option. We can analyze your current policies for you. Review all of your investments to see if they have income guarantees or possible inflation hedges. Since most people are retired for 20+ years, those are real concerns you'll need to factor into your planning. When you contact us, we can help you guarantee your income for your life and the life of your spouse. *Don't worry about IRA contribution limits; they don't apply to "rollovers." An lRA is simply a "tax umbrella" under which you select investments. You need to set up your IRA and select your investments before requesting retirement plan rollovers.